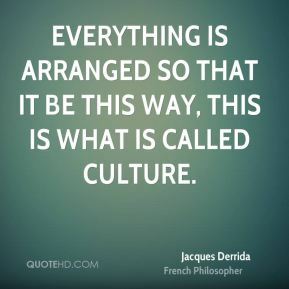 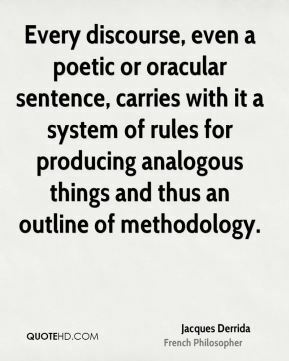 Every discourse, even a poetic or oracular sentence, carries with it a system of rules for producing analogous things and thus an outline of methodology. 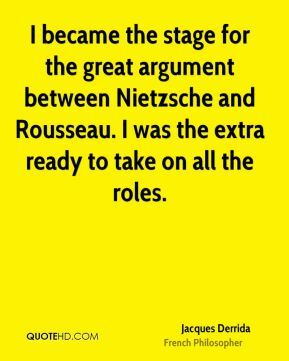 I became the stage for the great argument between Nietzsche and Rousseau. 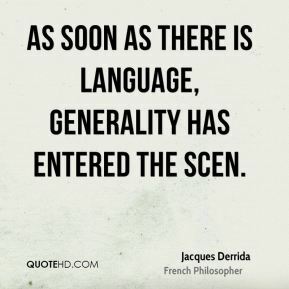 I was the extra ready to take on all the roles. 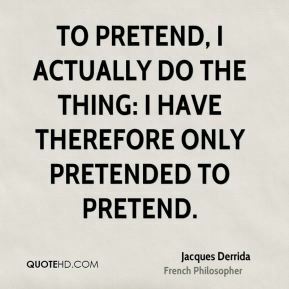 I do not believe in pure idioms. 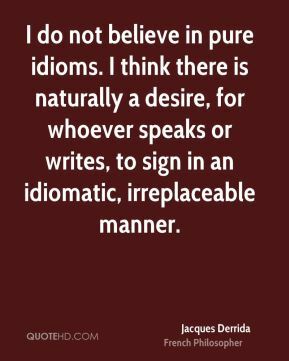 I think there is naturally a desire, for whoever speaks or writes, to sign in an idiomatic, irreplaceable manner. 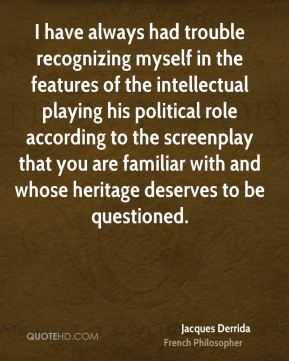 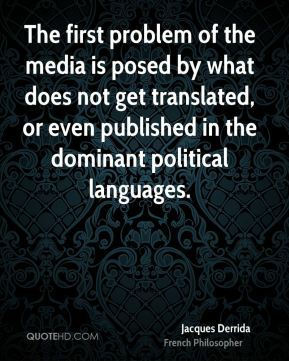 I have always had trouble recognizing myself in the features of the intellectual playing his political role according to the screenplay that you are familiar with and whose heritage deserves to be questioned. 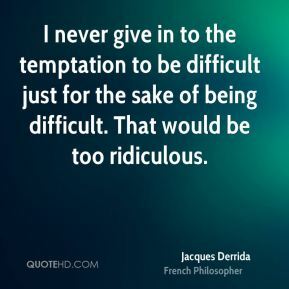 I never give in to the temptation to be difficult just for the sake of being difficult. 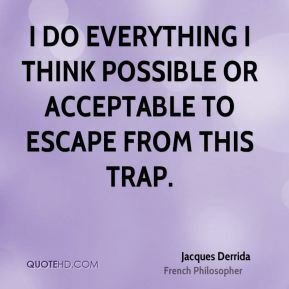 That would be too ridiculous. 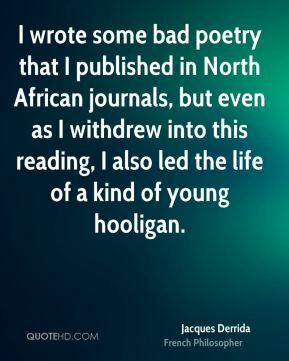 I wrote some bad poetry that I published in North African journals, but even as I withdrew into this reading, I also led the life of a kind of young hooligan. 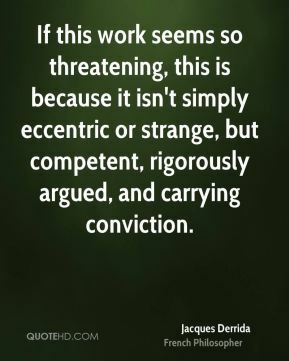 If this work seems so threatening, this is because it isn't simply eccentric or strange, but competent, rigorously argued, and carrying conviction. 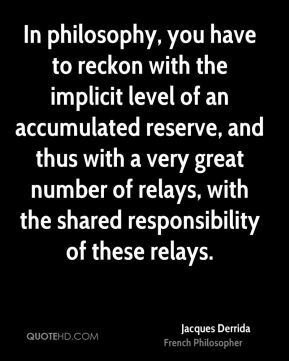 In philosophy, you have to reckon with the implicit level of an accumulated reserve, and thus with a very great number of relays, with the shared responsibility of these relays. 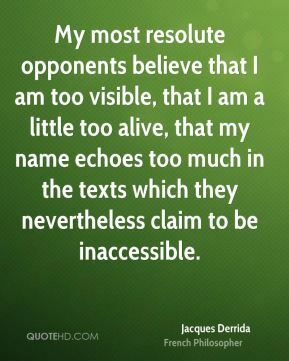 My most resolute opponents believe that I am too visible, that I am a little too alive, that my name echoes too much in the texts which they nevertheless claim to be inaccessible. 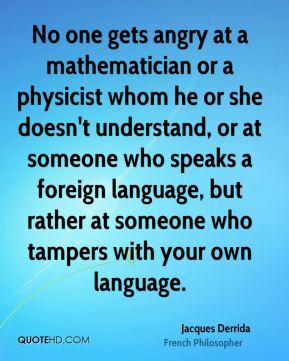 No one gets angry at a mathematician or a physicist whom he or she doesn't understand, or at someone who speaks a foreign language, but rather at someone who tampers with your own language. 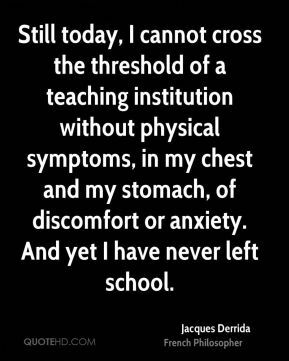 Still today, I cannot cross the threshold of a teaching institution without physical symptoms, in my chest and my stomach, of discomfort or anxiety. 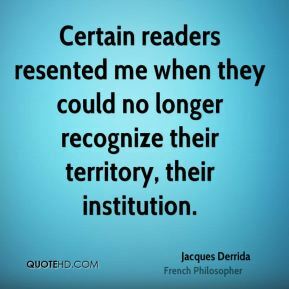 And yet I have never left school. 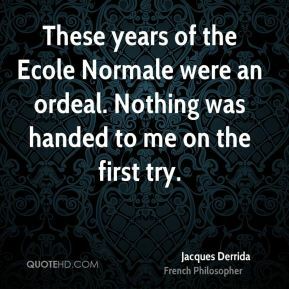 The boarding-school experience in Paris was very hard, I didn't put up with it very well. 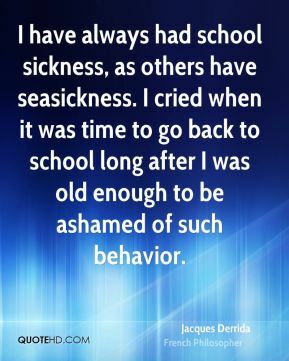 I was sick all the time, or in any case frail, on the edge of a nervous breakdown. 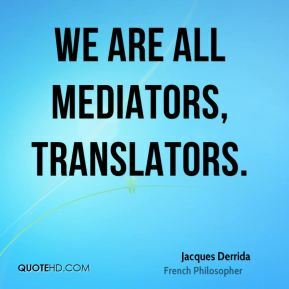 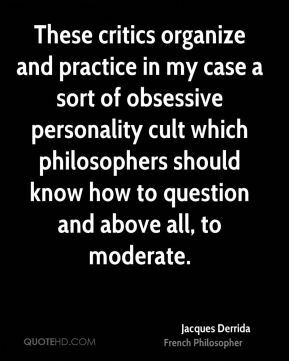 These critics organize and practice in my case a sort of obsessive personality cult which philosophers should know how to question and above all, to moderate. 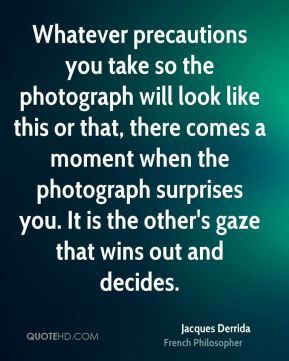 Whatever precautions you take so the photograph will look like this or that, there comes a moment when the photograph surprises you. 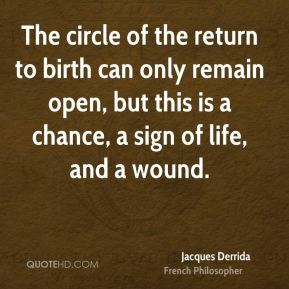 It is the other's gaze that wins out and decides.